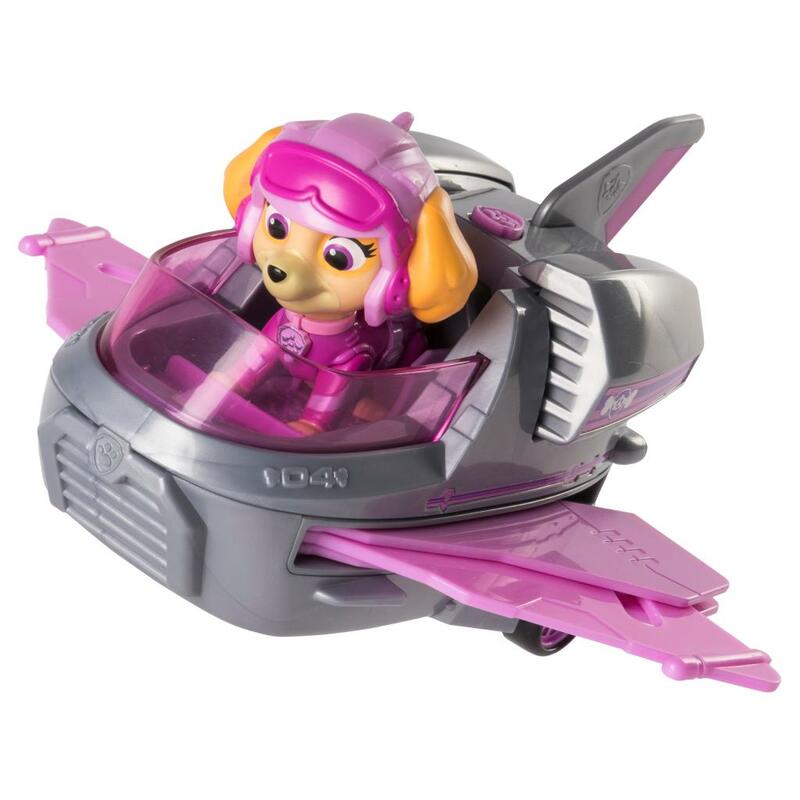 Soar to adventure aboard Skye’s Rescue Jet! 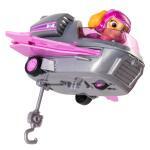 Wearing her flying gear, Skye is ready to steer into adventure! 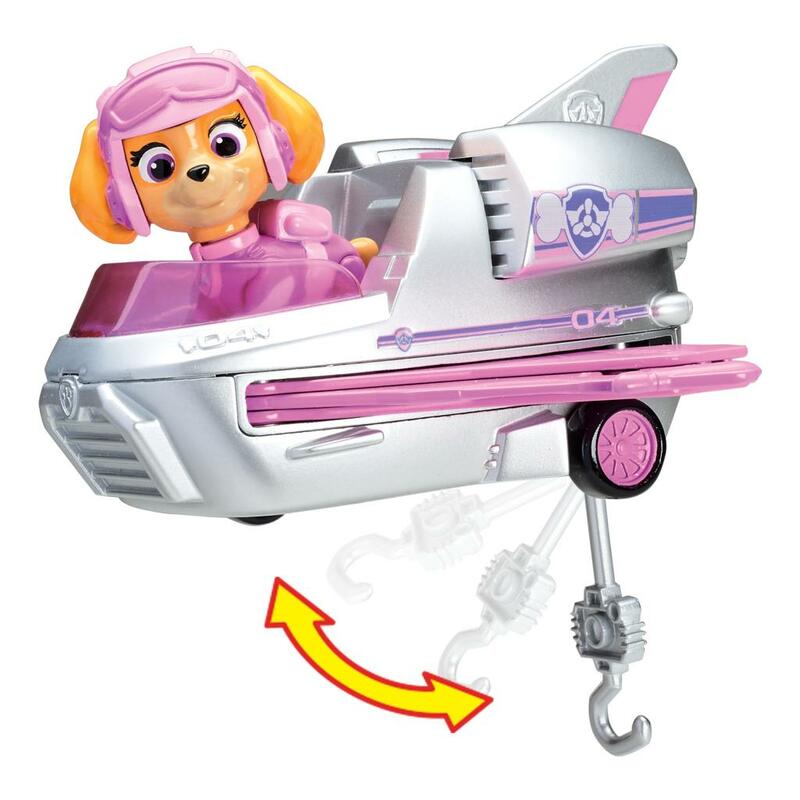 Use her Rescue Jet’s working wheels to drive down the runway, and then press down on the Paw Patrol badge to extend the wings and take off! When you spot a baby animal in trouble, pull out the rescue hook to save the day! With authentic details, this flyer brings all the excitement of Adventure Bay home! 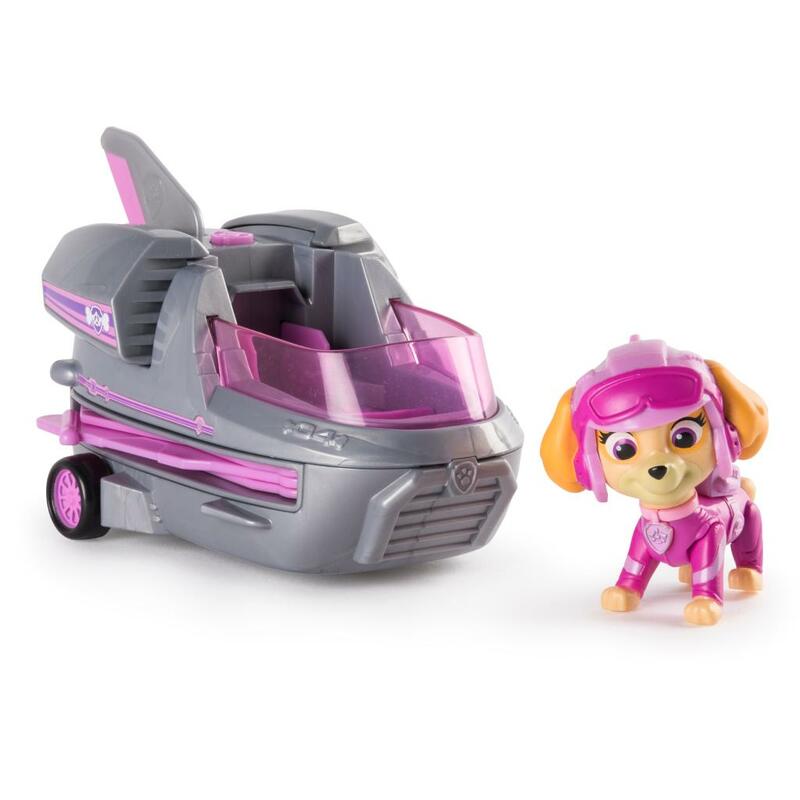 Add Marshall, Rocky, Zuma, Rubble and Chase’s rescue vehicles (each sold separately) to your collection and complete the Paw Patrol! For heroic rescues filled with bravery and friendship, hop onto Skye’s Rescue Jet! This pup's gotta fly! 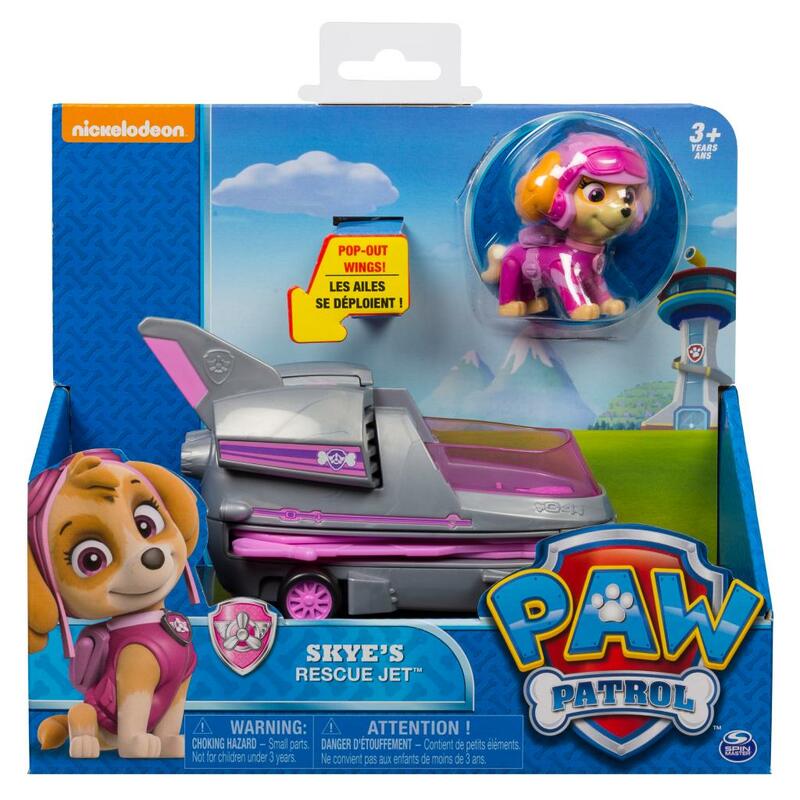 Lift-off for excitement on Skye's Rescue Jet! 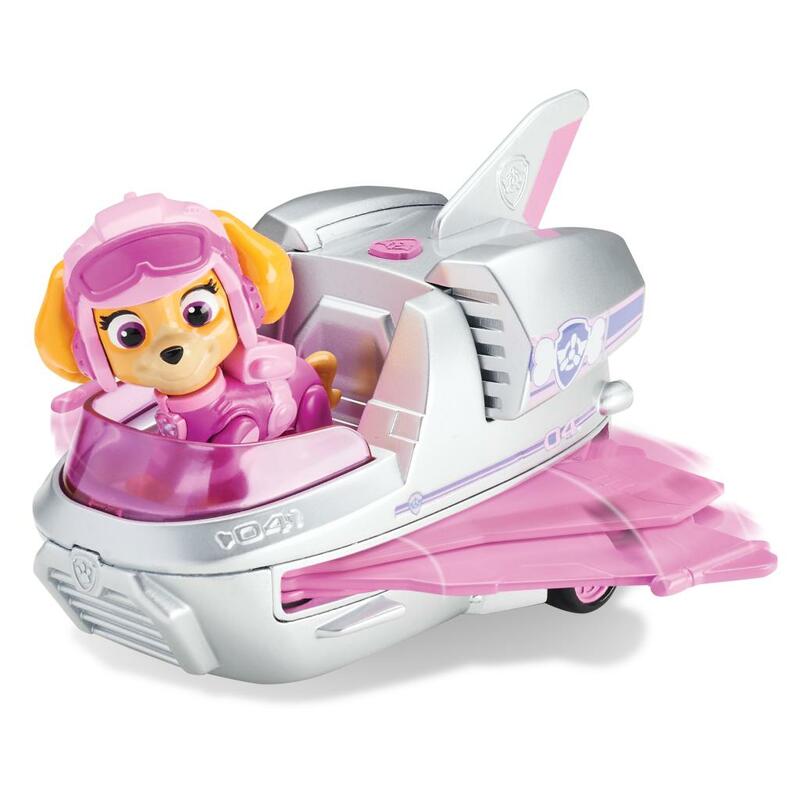 With extendable wings and working wheels, this flyer is ready to soar the open skies! Press down on the Paw Patrol badge to extend the Rescue Jet's wings! For daring missions, pull out the rescue hook and save a baby animal! Add the rest of the Paw Patrol's rescue vehicles (each sold separately) to your collection and recreate adventures from the show, filled with bravery and friendship! 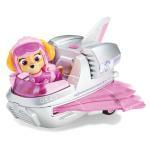 Skye's Rescue Jet is for kids aged 3+. Small parts included.